The LGBTQ Community Engagement Project is an initiative of the Your Way Home public-private partnership to end and prevent homelessness in Montgomery County. The project is funded by a grant from the HeathSpark Foundation. The project is designed to further understand and bring awareness to the unique needs of LGBTQ individuals experiencing extreme poverty in Montgomery County. Interpreting and addressing the needs of LGBTQ youth, adults and seniors has been a challenge for Your Way Home since its inception. It is our hope that this project will build on the work of the current Your Way Home Equity Evaluation, leverage existing Your Way Home system and partnership mechanisms, forge new alliances with cross-sector system leaders, and engage people with lived experience in meaningful ways that lead to transformational and systemic changes that will advance a more equitable and inclusive system for all. Transportation and travel will be compensated. Phone and work station are available at the Montgomery County Office of Health and Human Services. Salary: $12-$15 per hour with a max of 15 hours per month. Advocate will be paid on a monthly basis. Advocate will work from date of hire until the project end: January 1, 2020. · Interview LGBTQ individuals with lived experience of homelessness/extreme poverty to help determine barriers to accessing services in the system. · Present findings to the Your Way Home Operations Team, scheduled meetings of Health and Human Services, and providers, partners and community members in the County. Your Way Home is excited to announce a reduction in homelessness by 47% since its inception in 2014, as measured by the annual Point-In-Time Count. Over the past five years, Your Way Home has transformed the homeless crisis response system in Montgomery County by more effectively diverting, triaging and re-housing literally homeless residents. During this time, Your Way Home has focused on creating a coordinated and unified homeless crisis response system that connects homeless households to permanent housing as quickly as possible. More recently, Your Way Home has piloted new programs that provide homelessness prevention services to households facing eviction and doubled-up families. Your Way Home’s success in reducing homelessness demonstrates the impact of what we can achieve when nonprofits, government, philanthropy and the community work together towards a shared vision. Our initiative is successful because of the collective work that all of our partners have done to more effectively respond to the crisis of homelessness, which is why we have been able to rehouse over 864 homeless households since 2014. As Your Way Home continues to prioritize its commitment to ending literal homelessness, we recognize that we must also develop solutions that will help prevent more families and individuals from losing their housing. We acknowledge that while our data shows a sizable reduction in homelessness, the Point-In-Time Count itself does not reflect the full picture of homelessness in Montgomery County- it is a snapshot of what homelessness looks like on one day in time, for those who are literally sleeping outside or in shelters. The Point-In-Time Count (PIT) assists us in creating dialogue around homelessness in real time and with real data. It establishes the magnitude of the problem of literal homelessness and helps us track progress toward our goal. What the PIT does not quantify are those experiencing extreme housing instability: those couch- surfing or doubled- up in housing, those living in substandard housing, or households paying over half their income towards rent. The PIT does not give an accurate picture of the affordable housing crisis in Montgomery County, nor does it reflect the urgent needs of those who are housing insecure. However, the PIT does tell us that we are on the right track towards achieving our goal. We have made a sizable reduction in homelessness in Montgomery County over the past five years. We have not yet reached our goal of ending homelessness but we are proud of where we are today. We continue to build on this strategic framework and embrace strategies that make Your Way Home a more equitable system. On the night of January 24 from 9:00 PM to 12:00 AM, I volunteered with my fellow Commissioner, Val Arkoosh, and forty others for the Point-In-Time Count led by Your Way Home. This annual exercise provides important information on how homelessness impacts the county and how it can be ended. Groups of volunteers searched for homeless individuals and families in areas of the county including; Abington/Willow Grove/Cheltenham, Ardmore/Lower Merion, Lansdale/Souderton, Norristown/Bridgeport and Pottstown/Royersford. I was on the Norristown/Bridgeport team. I was not sure what to expect. I knew that there were homeless citizens in Montgomery County. I have visited the county shelter many times, including monthly meals and holiday dinners led by my church. I have worked with great non-profit organizations that provide emergency and transitional housing throughout the county. Occasionally, I will encounter individuals around the Courthouse or at the Norristown Transportation Center asking for money who may be homeless. However, to see people at night, on the street, under bridges and on playgrounds was powerful and disturbing. Our group was led by Joel who works for the Salvation Army. He explained that some people did not want to be counted or surveyed for various reasons. We went to spots along the railroad tracks where we could tell people had been living. There might be a couch or a lean-too and some empty cans but no people. Our first encounter was at the DeKalb Street Bridge. A woman was sleeping underneath it and came out when she heard us to receive the supplies we had. It was like we had knocked on her front door! It was a mild night but drizzling, unlike some of the frigid nights earlier in the week and she said, “It wasn’t too bad”. We went to the Crawford Park. It has a playground underneath the Schuylkill River Trail that I have run or ridden past many times. I’ve always seen it during the day and there are always children playing basketball on the court and using the playground. Upon reflection, it’s more upsetting to think of those we didn’t count because they didn’t want to be seen. They are quite literally “living in the shadows.” There are many reasons why people become homeless in our society and county. But whatever the reason, we need to end homelessness in our county. No one should be sleeping under a bridge or in a park. I am proud of the progress we have made but there is much more to be done. I am glad that I had the opportunity to see it firsthand and I thank the volunteers from around the county who participated. Your Way Home also has wonderful partners who work on this issue daily and I am grateful for their efforts. However, we all need to do more so the Point-In-Time Count is not necessary. As 2018 comes to a close, I wanted to send a note to thank each of you for your commitment to one of the most pressing issues in our community- ensuring every Montgomery County resident has a safe and stable place to call home. I’m endlessly inspired by the hope and compassion that you exhibit in your work with some of our most vulnerable residents, despite what are often tragic and frustrating circumstances. It’s important to take a moment to remember that so many of our neighbors are celebrating the holidays in their own home because of you. Montgomery County has experienced a 37% reduction in homelessness since we launched Your Way Home in 2014. This year alone, we have helped 152 homeless families move into housing, and a total of 430 formerly homeless families stabilize in their housing. We’ve provided shelter for over 600 residents and have allocated hotel vouchers so that no child or pregnant woman ever sleep outside in Montgomery County. We’ve expanded our partnership’s focus to include strategies for preventing homelessness through two new pilot projects that launched this year. Our EPIC partnership with the Montgomery Bar Association and Foundation, the Pottstown Cluster of Religious Communities, Legal Aid of Southeastern PA, and the Montgomery County Courts, provides free legal representation and financial assistance to prevent evictions in Norristown. We’ve prevented 67 households from being evicted, or 76% of those enrolled, since January. Second, we’ve partnered with the education system to better support at-risk elementary school children and their families. Through the Sprout Initiative, launched in partnership with the North Penn School District, Keystone Opportunity Center, and Villanova University, we are assisting families with school-aged children regain housing stability and support student success, with the goal of increasing children’s educational achievement through more stable housing. As we shared in our 6th Annual Summit this past summer, our partnership has embraced advancing racial equity as a core strategy in ending homelessness. Through the HealthSpark Foundation, we’ve engaged a nationally recognized firm to help us conduct a Racial Equity Evaluation of our partnership, the first phase of which will be completed in early 2019. This initiative- which puts our partnership on the forefront nationally to take on systemic and structural racism in fighting homelessness- will transform our service system to better serve people of color and other historically marginalized groups. We’ve created new collaborations with other sectors, advancing our mission to better align human services to meet the multifaceted needs of vulnerable residents. For example, our new partnership with MCIU Head Start prioritizes Your Way Home clients for their services, so that homeless families have priority access to this free, federally-funded preschool program. Additionally, we’ve hosted community forums to increase information sharing with other sectors. Our fall Forum, co-hosted by the Montgomery County Commerce Department, highlighted Equitable Access to Economic Opportunities and discussed innovative strategies for overcoming systemic barriers to employment. Finally, we know that none of this work is possible without garnering the financial support to continue it. Through the Your Way Home Initiative Fund, we’ve raised over $150,000 in private grants to support consumer assistance, research and evaluation, consumer engagement, diversity training, and other activities. We have also been awarded over $500,000 in new public funding to support our core programs. This is because we can continue to show that we are delivering high quality, responsive services to our residents. I’d like to sincerely thank our Your Way Home Advisory Council members for their service this past year, including our outgoing Chair, Virginia Frantz of the Montgomery County Foundation, Inc. Virginia has been a steady partner and champion for us, building relationships with the philanthropic community and advising our partnership since its inception. In 2019, we are thrilled to welcome our new Your Way Home Advisory Council Chair Joel Johnson, Executive Director of the Montgomery County Housing Authority. Joel’s leadership and knowledge in issues of housing affordability and access will be invaluable as our partnership moves towards embracing long-term solutions to homelessness prevention in the coming year. I’d also like to thank our CoC Governing Board, as well as those of you who have joined us on our Action and Advisory Teams throughout the year. Thank you to our core partners- our call center, outreach staff, shelters, Housing Resource Centers, and numerous community organizations- who carry out our mission each day. Finally, to the Your Way Home Operations Team- it is truly an honor to work with each of you. My best wishes for a happy holiday and joyous new year. See you in 2019! Your Way Home hosted it's 6th Annual Your Way Home Summit: Advancing Equity, on June 8th at the Montgomery County Community College. The Annual Summit provides an opportunity for many of our core providers, community partners, funders, landlords, and consumers to hear about the progress we’ve made in ending homelessness over the past year, and the work that we plan to do moving forward to accelerate our impact. A 37% reduction in homelessness since 2014, as measured by our annual Point in Time Count, including a 50% reduction in homelessness among families with children. A success rate of 85% overall- meaning that of the people we help to move to permanent housing, 85% do not return to homelessness within at least 2 years. These accomplishments are due to the efforts of our community members who have worked so hard to move the needle on these challenging issues, by embracing strategies like Coordinated Entry, housing-focused Emergency Shelters, Housing Resource Centers, strong connections to Supportive Services in our community, and a partnership structure that includes voices from across sectors to guide our common agenda. Our commitment to adopting strategies related to homelessness prevention, addressing the affordable housing crisis, and equity, in addition to reaffirming our commitment to ending literal homelessness were announced during the summit. The topic of Racial Equity as a Sustainable Practice to Ending Homelessness was woven throughout our keynote presentation, by Jeff Olivet, as well as our main stage commentary. The equity panel discussion, lead by Jason Alexander, Senior Policy Adviser for Your Way Home highlighted the intersections of equity and homelessness in various sectors of our population. 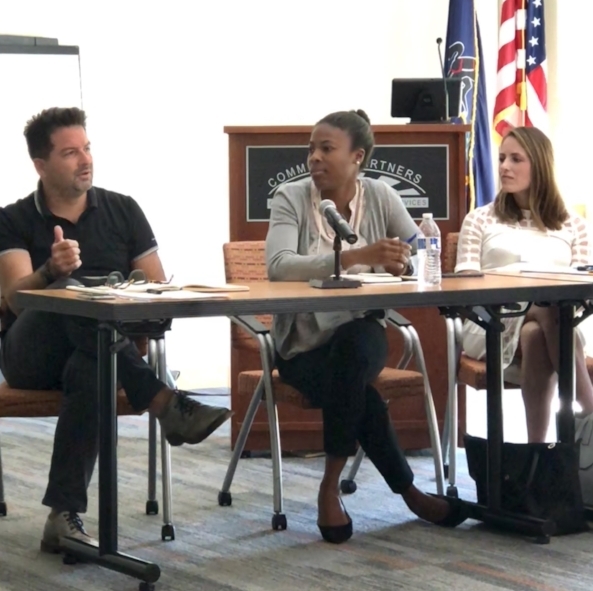 Panelists included: Vanessa Briggs of Brandywine Health Foundation, Sidney Hargro of Philanthropy Network, Kim Krauter of Advanced Living Communities and Jeff Olivet of Center for Social Innovation (also the keynote speaker). The second half of the Summit gave attendees the opportunity to attend breakout sessions. Each session interwove the overarching theme of equity into their discussions. The breakout session topics were: "Homelessness & Eviction Prevention", Your Way Home: The Story and the Numbers", "The Role of Public-Private Partnerships in Accelerating Change", "Achieving a Collective Impact through Systems Change", and "What’s Gender Equity Got To Do With It?". For more information on Your Way Home's equity initiative and to view more pictures from the Summit, please click here. In the past four years, Your Way Home has created and adopted the core strategies known to be effective in ending homelessness: adopting a housing first approach, coordinated entry, and rapid re-housing, among others. The next step in this process is an effort to proactively combat, in meaningful and authentic ways, the impact of historical and ongoing discrimination in housing practices by adopting equity as a core strategy in our work to end homelessness. Your Way Home will begin its work on equity by developing a better understanding of our system’s role in perpetuating the disproportionate impact of homelessness on certain demographic groups in Montgomery County. Further, we will work to discover ways in which our partnership can mitigate and overcome these challenges. Your Way Home has engaged the Center for Social Innovation, a consulting firm responsible for the SPARC initiative (Supporting Partnerships for Anti-Racist Communities) in order to conduct an Equity Evaluation of Your Way Home’s partnership. This work will represent the first step, as a public-private partnership, to begin outlining how we might meaningfully address the impact of discrimination and institutional racism in our partnership moving forward. On Tuesday, July 10th, Your Way Home hosted an Equity Forum, led by Jeff Olivet and Lunise Joseph of Center for Social Innovation. The Forum was the first opportunity for our partners in this work to hear from Your Way Home providers and friends regarding their experiences with racial inequity. During their time in Montgomery County, our partners at Center for Social Innovation met with decision makers, outward facing provider staff, and consumers to gain their feedback and insight into the interactions they are experiencing as individuals of color in Montgomery County. Your Way Home will continue to report out on the data and research we find during this partnership. Please continue to check for updates on our Equity web page and through our e-newsletter. An estimated 50,000 Montgomery County residents are faced with housing instability each year due to the high cost of housing, and low or stagnant wages for many workers. Historically underserved populations, such as people of color, people with disabilities, women, and the LGBTQ community, are more likely to experience housing instability than other populations due to barriers to economic advancement. Your Way Home is hosting a Forum on Equitable Access to Economic Opportunities to understand the challenges to economic mobility faced by these populations. The forum will highlight programs and employers that are working in unique ways to assist individuals that have experienced barriers to employment. The keynote and panel discussion will focus on equity as it relates to economic opportunity and mobility, access to supportive employment programs, and increasing outcomes for underserved populations. Recycled Rides is a nationwide community service project of the National Auto Body Council in which insurers, collision repairers, paint suppliers and others collaborate to repair and donate vehicles to families and deserving service organizations. In the Recycled Rides program, insurance companies donate the vehicles, parts and paint manufacturers donate the materials, and local auto body shops donate the labor to repair them. Keystone Opportunity Center, a Your Way Home Housing Resource Center, applied to Recycled Rides on behalf of a family in the program. The family was homeless and staying at a participating Your Way Home shelter. Despite experiencing more than 6 months of housing instability, the mother worked hard to provide a sense of stability for her family. She felt it was important to make sure her son was enrolled in kindergarten and did not want their life circumstances to keep him from moving forward. This meant bundling up three little ones in the winter and walking her son to and from school every day. With the addition of a vehicle this mother now has access to services that aid her children's emotional and education needs as well as the tools she needs to keep a full-time job. Access to transportation is a game changer for many families living in poverty. Families with cars are more likely to find a job and to stay employed. Unreliable transportation is one of the primary reasons why individuals lose their jobs. Thank you to our partners at Keystone Opportunity Center for making this request a reality! The United States Department of Housing and Urban Development's (HUD) Continuum of Care (CoC) Program is designed to promote communitywide commitment to the goal of ending homelessness; provide funding for efforts by nonprofit providers, and State and local governments to quickly rehouse homeless individuals and families while minimizing the trauma and dislocation caused to homeless individuals, families, and communities by homelessness; promote access to and effect utilization of mainstream programs by homeless individuals and families; and optimize self-sufficiency among individuals and families experiencing homelessness. • Rapid Re-Housing for families and/or single adults. • Rapid Re-Housing for youth aged 18 – 24. • Joint TH and RRH component project for Transitional Age Youth aged 18 – 24. To access the new project application, please click here. For more CoC Program Competition information and instructions, please visit the Continuum of Care page on the Your Way Home website by clicking here. Home4Good is a collaborative initiative between the Federal Home Loan Bank of Pittsburgh (FHLBank Pittsburgh) and the Pennsylvania Housing Finance Agency (PHFA) to provide grants to address systemic gaps in support and services and help make homelessness in the Commonwealth rare, brief and nonrecurring. Home4Good is designed to support projects, programs or activities in Pennsylvania that lead to stable housing for individuals and families who are currently homeless or at risk of becoming homeless. The PA-504 Continuum of Care (CoC) administers this program in Montgomery County. The deadline for submitting applications is August 24, 2018. The award for this RFP is expected between: $50,000 to $250,000. Last Friday, I was honored to host many of you for our 6th Annual Your Way Home Summit: Advancing Equity. As the Administrator for the lead public agency of Your Way Home, the Montgomery County Office of Housing and Community Development, I recognize that this event provides an opportunity for many of our core providers, community partners, funders, landlords, and consumers to hear about the progress we’ve made in ending homelessness over the past year, and the work that we plan to do moving forward to accelerate our impact. A success rate of 86% overall- meaning that of the people we help to move to permanent housing, 86% do not return to homelessness within at least 2 years. And yet- there is still so much work to be done. As my experience as a Your Way Home system leader has evolved over the past four years, I have come to learn that even our best interventions can only go so far to help people recover from the traumatic experience of homelessness. In other words, we have treated the symptoms of homelessness, but not the root causes- like poverty, violence, discrimination, and a lack of affordable housing, to name a few. During our Summit last Friday, I was able to share how Your Way Home has finally built the will, resources and champions to dig into these root cause issues, and to understand their relationship to homelessness and what we can do about them, together, as a community. First, for every 1 household that experiences homelessness in Montgomery County, 20 more are on the brink. The problem is, it’s difficult to predict who they are, whether they will become homeless, or how to prevent them from doing so. And just to be clear, we simply do not have the funding or human resources to help everyone. However, we’ve spent the past year researching better strategies and promising practices to do so. This research culminates in our Unlocking Doors report. Second, is that we know that homelessness is disproportionately experienced by people of color and other historically underrepresented and disadvantaged groups. In Montgomery County, 50% of the population we serve through Your Way Home is black or African American, compared to about 9% of the general population. Forty-eight percent of persons served by Your Way Home have at least one reported disabling condition, compared to 14% of the general population in the state of Pennsylvania. Sixty-four percent of homeless households are headed by women, including 89% of households with children. Finally, national studies have indicated that as many as 40% of youth experiencing homelessness are LGBTQ, compared to about 7% in the general population. We cannot talk about ending homelessness without also talking about the impact of institutional and structural discrimination on certain groups, particularly on people of color, women, the LGBTQ community, and people with disabilities. We cannot help but conclude that our systems have been designed to discriminate against these groups, and that as a result, it has become easier for certain groups to become homeless in the first place, and it is harder for them to leave. As advocates, policymakers, funders, landlords, and service providers, we have an imperative to not only deeply understand the issue of discrimination and its impact on homelessness, but we must also proactively work to redesign and retool our programs, organizations, and culture to overcome these inequities. Your Way Home is committed to leading this conversation forward. At our Summit, we provided some introductory material on the topic of equity and homelessness through our keynote speaker, Jeff Olivet, whose work on Supporting Partnerships for Anti-Racist Communities concluded that structural racism is a driving factor of homelessness. You can read more about his work here. Jeff’s firm will continue to work with Your Way Home through the fall to conduct an Equity Evaluation. This evaluation will review our Your Way Home system performance data, policies and procedures, and board recruitment practices through an equity lens and then will provide specific strategies for our partnership to adopt in pursuance of advancing equity. A multi-sector Advisory Team is being gathered to guide this work, and will be hosting community forums and consumer listening sessions throughout the summer and fall. We’ll be sharing progress on this evaluation at futureCommunity Meetings, through our newsletter, and on our website and social mediachannels. We also hosted a panel discussion at the Summit with leaders from philanthropy, public health, and affordable housing to discuss the impact of equity in these systems. The spirit of their discussion was captured in graphic visuals, featured above. Finally, we provided copies of The Color of Law and “Awake to Woke to Work: Advancing a Race Equity Culture”, to all conference attendees. You can find copies or links to these resources on the Resources page of our website. Connecting our community to more resources for learning about issues of discrimination and equity, especially as it relates to ending homelessness, through our website, newsletter, and social media. I’m continually humbled by the passion for ending homelessness among our community, and encouraged by the number of people who have already reached out since Friday to share that the decision to advance equity in our partnership is an imperative that will strengthen our system. I invite you to join us in taking this significant and courageous step towards advancing equity for the benefit of all. In a year that has been especially turbulent, it is more important than ever that we take a second and acknowledge today as one of significant reflection. The International Women's Day 2018 campaign theme is #PressforProgress. Press for Progress is a push for global attention towards achieving the ultimate goal of gender equality. Your Way Home is proud to spotlight our entirely female 24/7 street outreach team. In October Your Way Home launched its partnership with Access Services. Through this partnership we are now able to provide services 24 hours a day, 7 days a week, prioritizing housing and benefits for vulnerable families, youth and single adults experiencing homelessness. Services include: round the clock responsivity for physical resources, screening and assessment, housing counseling, and connection to housing resources. Your Way Home’s priority is to serve individuals who are living outdoors, in their cars, in tents, or in other places not meant for human habitation. The complex needs, configurations, and situations of families and individuals who are experiencing street homelessness is assessed every day by the Your Way Home’s trauma-informed, street outreach team. 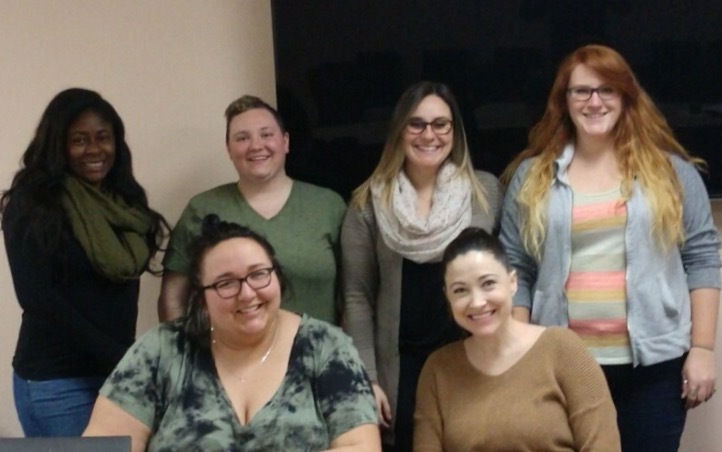 Following the core principals of trauma-informed care is something that has made our street outreach team especially successful in their work. They have succeeded in creating a trustworthy environment while maintaining appropriate boundaries and empowering clients. Your Way Home has made it a priority that no pregnant women or child under 5 should ever be without shelter, due to the serious health consequences associated with the experience. In 2017 alone Your Way Home served 646 women which is 52% of the population served by the program. It is important to acknowledge the unique challenges facing homeless women including: access to proper prenatal care, menstruation products, and increased risks of domestic violence, just to name a few.